Ex-MK Moshe Feiglin blames 'coordinated effort' against Zehut by factions on both the Right and Left for electoral defeat. 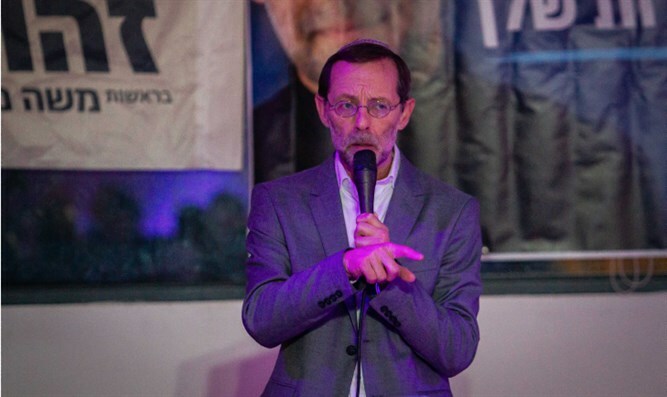 Zehut party chairman and former Likud MK Moshe Feiglin accused opponents on both the Right and Left of making a concerted effort to target Zehut, blaming a “concerted, elaborate liquidation campaign” for his party’s surprising electoral loss. Pre-election polls over the past month had consistently shown Zehut, a libertarian-leaning faction making its first Knesset bid, crossing the 3.25% electoral threshold and entering the Knesset with four to seven seats. Shortly after the polls closed Tuesday night, however, exit polls showed the party falling far below the minimum threshold, with little chance of the faction closing the gap. With 97% of the vote counted, Zehut had received a total of just over 101,000 votes, or 2.51% of the vote, leaving a gap of over 30,000 votes between it and the minimum threshold. In a Facebook message to supporters, Feiglin said the party’s defeat in the election was not yet certain, but blamed its apparent loss on efforts by both the Left and Right to smear the party and its platform. Feiglin claimed established parties on both the Right and Left launched a ‘concerted effort’ to drive away voters, including a last-minute announcement by Kulanu, Shas, and United Torah Judaism that they would refuse to join a coalition with Zehut – effectively forcing Zehut out of any right-wing government.